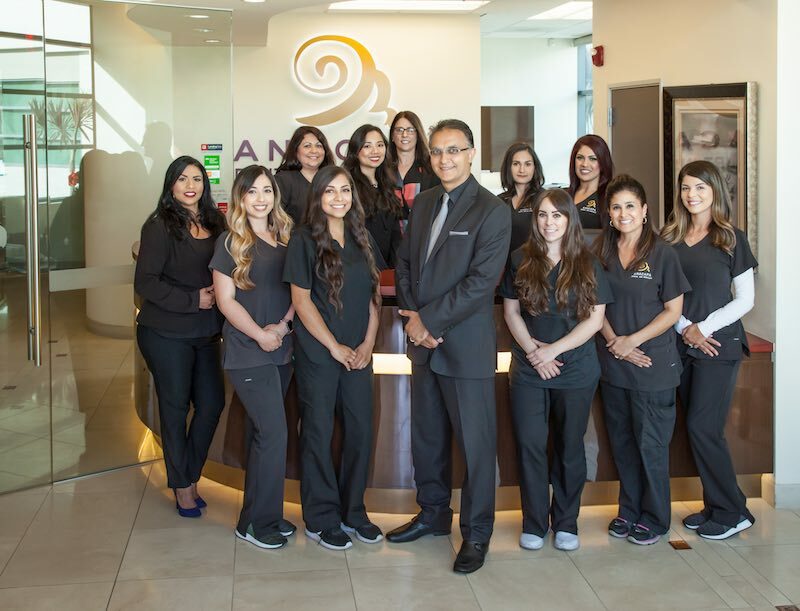 At the Anacapa Dental Art Institute, our primary concern is your comfort and care. From the receptionist who cheerfully schedules your appointment to the dental implant surgeon who will reinvent your smile, the very qualified staff is known for their dexterity and their welcoming demeanor. Dr. Jivraj is an award-wining prosthodontist whose education and training sets him above and beyond your average dentist. Dr. Jivraj has over 2 decades of experience in the field of dentistry and prosthodontics and is considered one of the leading prosthodontists in the country, even getting voted “Best in USA” in 2008 by his peers. Dr. Yeung is a prosthodontist who provides a compassionate, practical, and esthetic approach to dental treatment. Her unique and logical approach to patient needs has been published in the peer-reviewed Journal of Prosthetic Dentistry. 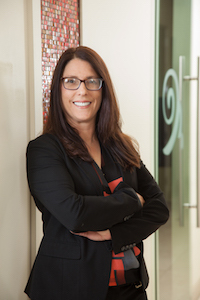 She is currently an assistant professor at USC in the areas of advanced prosthodontics, removable and implant dentures, and restorative dentistry. She is also affiliated with the National Foundation for Ectodermal Dysplasias in providing dental treatment coordination to children with multiple missing teeth. 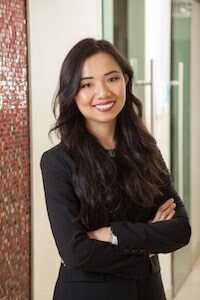 Dr. Yeung was born and raised in the San Francisco Bay Area, where she earned her B.A. in Integrative Biology at UC Berkeley. She then moved to Los Angeles to attend the Ostrow School of Dentistry at USC, where she earned her DDS with honors and completed a three-year full-time residency in Advanced Prosthodontics. Josee has served the dental community for over two decades. Her dental career was launched in 1998 as a dental assistant and worked various positions to management in 2004. Her passion for dentistry resides with her involvement through the life-changing journey each patient undertakes. Changing one smile, one life at a time by assisting every patient overcome their barriers. A true believer that anything is possible. Josee is currently working on her fellowship with the American Association of Dental Office Managers. If you wonder where her accent comes from. Josee pronounced (Jo-say) was born and raised in Quebec, Canada, where French is the native language spoken and has lived in the US since 1998. Outside work, Josee plays in a coed soccer league. “Pushing the grown-up boys around” is my favorite part, says Josee. She enjoys the outdoors, fishing and camping with her husband and two daughters. Laura has been a Registered Dental Assistant for many years, working in various facilities before she was hired at Anacapa. She finds working for Dr. Jivraj educational and inspirational, seeing that he takes the time necessary to teach her new techniques and methods to expand her abilities as a Dental Assistant. She is the lead dental assistant at Anacapa Dental. She credits an advancement of her skills as a Dental Assistant to Dr. Jivraj, having learned more since working for him than any other practice. Laura enjoys helping patients alongside Dr. Jivraj as she knows they are in very capable hands and will walk away smiling. In her spare time she enjoys going to the gym, hiking and fishing. Darlene has enjoyed dental hygiene for the last 26 years. Darlene graduated from Cerritos College in 1992 and her dental training was from UCLA dental school, VA medical center in West Los Angeles. Darlene has enjoyed helping her patients with their oral health and improving their smiles and will continue her career for many more years. 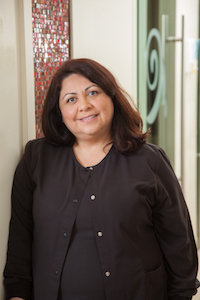 Anacapa Dental Art Institute is the best office she has ever worked for, and she loves working with Dr. Jivraj and Dr. Yeung and believes they are the best and together make a great team. Outside of work Darlene enjoys walking her dog, working out, going to the movies, and spending time with her husband and two daughters whom are her proudest accomplishments!! 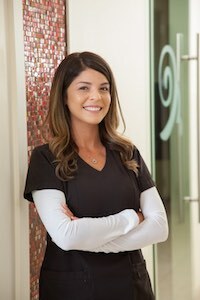 Michelle Lamas has been in the dental field since 2008. She is currently in her last year of the Dental Hygiene program at Oxnard College, all while be a mother and wife. Michelle has a passion for dentistry which really comes through to our patients. She loves helping patients and is our new patient concierge. 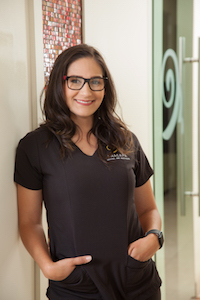 Michelle is a life long learner and strives to gain knowledge in all facets of dentistry, not only improve herself but evolve into a remarkable dental care provider. In her free time, she enjoys spending time with her family, travelling and enjoying good restaurants. Hello my name is Alexandra Prado and I have worked in the dental profession for nine years. Throughout my career, I have held many titles, such as receptionist, dental benefit coordinator, and different managerial positions. During my career in the dental industry, I’ve developed a passion to help patients obtain the type of healthy and beautiful smile they want and love. My job has given me a sense of fulfillment. I do my absolute best to offer our patients support throughout their dental journey by assisting them throughout their benefits process. Working as a benefits coordinator allows me to assist our patients with the crucial financial process and help navigate significant paper work which will lead to a smooth experience with their dental journey. My aspiration will hopefully lead to long and productive relationships not only with patients, but with my co-workers as well. Outside of work all my time is spent raising my three beautiful children, whom I love very much and who make me appreciate each and every day. Yolanda Oliva is a Registered Dental Assistant and is responsible for our patient’s accounts/insurance billing. Yolanda assists all of our patients in providing financial arrangements, filing insurance claims and assists with any questions relating to the financial aspect of a patient’s bill and accounts. She has been working in the dental field since 2000, first as a back office dental assistant, then a lead assistant, progressed to office manager and now taking care of our patient’s accounts here at Anacapa Dental Art Institute. Yolanda has worked with all dental specialties. 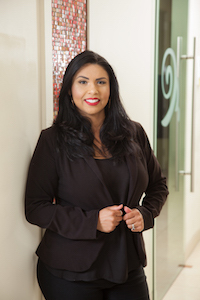 She has extensive experience in private practice as well as the Veteran Administration hospital in the Dental Dept in West L.A. and down town L.A. Yolanda feels that working in the dental field has been a very rewarding career for her, being able to witness our patient’s transformations and play a part in it. Erika Simental born and raised in Ventura County. 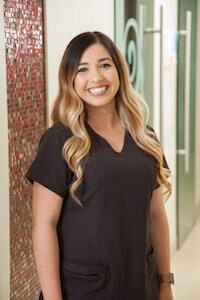 She has been in the dental field for over 5 years now and is currently a team member at Anacapa Dental Art Institute as the Hygiene Coordinator. She is a new mom and enjoys taking her little one on sunset strolls. She loves spending quality time with family and watching her daughter grow. Andrea Morales is Ventura County native, where she was born and raised. She is from the Class of 2016, Rio Mesa High School. 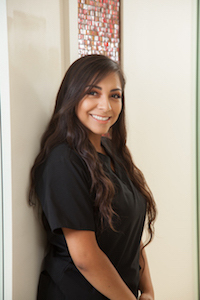 Andrea has been a DA since the age of eighteen; a graduate from CEC ROP where she obtained her Dental Assisting and CPR certificate, along with her Radiation License. She is currently enrolled at Oxnard College to peruse her education as an x-ray technician. If Andrea isn’t at work or hitting the books at school, you can find her outdoors hiking or enjoying the California sunshine at the beach. 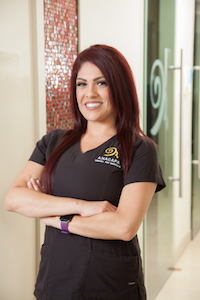 Born and raised in Ventura county, Lucia “Luda” Orozco serves in the capacity of a Dental Assistant with nine years of experience. 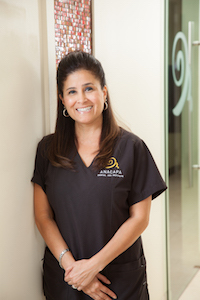 Luda is a mother of one, a friend to many, and a proud member of the Anacapa Dental team. She has been working along side Dr. Jivraj for a year, performing live procedures both in our office and in front of audiences at lecture halls. Her Story of occupational success continues to be written. Luda is currently working towards receiving her Registered Dental Assistant license. In short, you can trust Luda’s skills with your smile; you can also trust her sense of humor to make you smile.